It can be surprising how many things are needed, or just downright practical, when you have a little one in your life. It’s not easy to provide for the range of items a baby needs, particularly all at once. Donate gently used baby items to help support families with tight budgets, families or individuals who have recently lost a home, single parents or grandparents raising a little one, younger parents, or families in transition. Perhaps you have piles of new or barely used items that were given as gifts that your child grew out of too soon, or that simply didn’t fit your lifestyle. Charities are especially keen to receive new or barely used baby items. What kinds of baby items can I donate? Donate all kinds of baby items to charity! Every little bit can go a long way to helping a new, growing family. Donate a crib or a crib mattress (note that some charities may not accept crib or mattress donations for reasons of hygiene). Donate crib sheets and baby bedding. Donate a baby changing table. Donate a chest of drawers and other baby furniture. Donate a rocking chair. 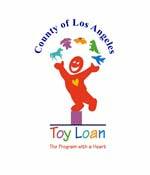 Donate a rocking horse or other baby toys. Donate a travel crib or play pen. Donate new or barely used burp cloths. Donate baby appliances like bottle warmers or other feeding supplies. Donate blankets and receiving blankets. Donate towels and washcloths. Donate baby bathtubs. Donate strollers. Donate high chairs and booster chairs. Donate bibs. Donate baby carriers and bouncy seats. Donate a bassinet. Donate baby proofing items and baby monitors. Donate diaper bags and backpacks. Donate baby clothes. When a baby comes into this world, she unfortunately doesn’t come with a suitcase full of everything she’ll need. Donate baby items to help new parents provide a warm, properly equipped home for the newest addition to the family. Donate training potties. Donate play mats. Donate baby books, videos or DVDs. Check with the charity about donating items like car seats, diapers, wipes, baby bottles, formula or other baby food, pacifiers, breast pumps, or baby care items like shampoo or soap. Some charities may not accept these items for reasons of hygiene or safety. Make every effort to donate baby items in new or gently used condition so that they can be fully enjoyed by a new family. Please pay special attention that you do not donate broken, stained, or heavily worn items. Do not donate items that have been recalled by the manufacturer. Where can I donate baby items? Wondering where to donate gently used baby items? DonationTown.org is the perfect place to begin! DonationTown.org will help you locate a charity near you that will accept your donations. And within minutes, you can also schedule a fast, free pickup of your donated items. DonationTown.org offers these fantastic services free of charge to you and the charity that will be receiving your donations. Your donated baby items will help a local charity put the essential and most practical baby items in the hands of new parents on a tight budget or who are otherwise in need of your donations. Your baby item donations can help parents make a safer, easier and more comfortable welcome to their precious little one.